What is the mission of Serving God’s Kids? 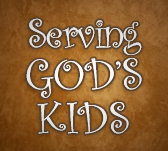 Who is Serving God’s Kids? What does SGK do for these kids? What makes SGK different from other missions? What is the retreat component of an SGK trip? What does it take to go on a mission trip? Do SGK missions welcome teenagers and children? Why do we spend money on mission trips instead of donating all of our money directly to the orphanages? More great links and resources. To love and serve children in need, especially orphans, and provide spiritual formation for those doing the serving incorporating theme of work, pray, play. SGK was established in February of 2008 to bring singles and orphans together seeking to share John Paul II’s Theology of the Body. With its first mission trip to Casa de Elizabeth orphanage in Imuris, Mexico SGK kicked off a successful ministry serving orphans and challenging missionaries to grow spiritually. In the following years there have been dozens more trips to Casa de Elizabeth and we have added Kid’s Kingdom also in Imuris. We have begun serving in the Yucatan and continue to look for opportunities to grow our mission. Our missionaries come from across America, and many meet each other for the first time on our trip. Serving God’s Kids (SGK), and Singles Serving Orphans (SSO) function as a part of Youth Support Inc., an IRS 501c3 non-profit tax-exempt organization established in1995. Meet us on the photos and videos pages on this site, and on our Facebook page. 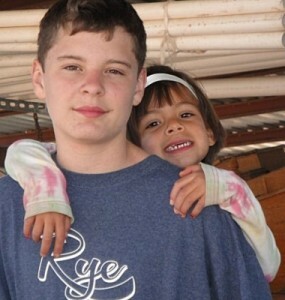 The primary focus of SGK has been on serving orphans in Mexico. Some of these children have no parents whatsoever, others come from single parent households and others have are away from their families for a variety of circumstances. 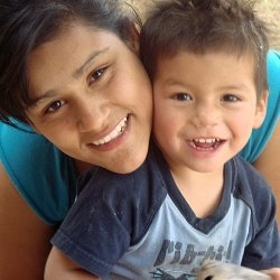 At the orphanages in Mexico we provide food, and cook and serve meals for the children each day we are there. We also do construction projects, often on a large scale. We demolished a leaking flat root and built a gabled roof in its place. We poured a concrete floor and built concrete block frames for the sinks in the new laundry. We installed heavy-duty plexi-glass where windows were missing, and fabricated new window frames where needed. We installed a new security system. We do extensive painting and clean-up projects as well. We pray with the kids, and, last but certainly not least, we play with the kids, and love the kids. All of these elements combine together in an extraordinary way. And because we come back and do these things over and over, the kids respond to us with a veritable bonfire of love. We have become one of the most important influences in the lives of these kids, and they have become the same for us. The heart of our mission is that, through prayer, service, fellowship, and teaching, our missionaries are formed into a true family. After all, we’re all God’s kids, and the greatest need of kids of all ages is to belong to God’s family. By bonding together closely as a family, we are able to make the greatest long-term impact on our own lives and the lives of the kids we serve. We pray together on a regular basis on our trips, and include the kids in our prayer whenever possible. 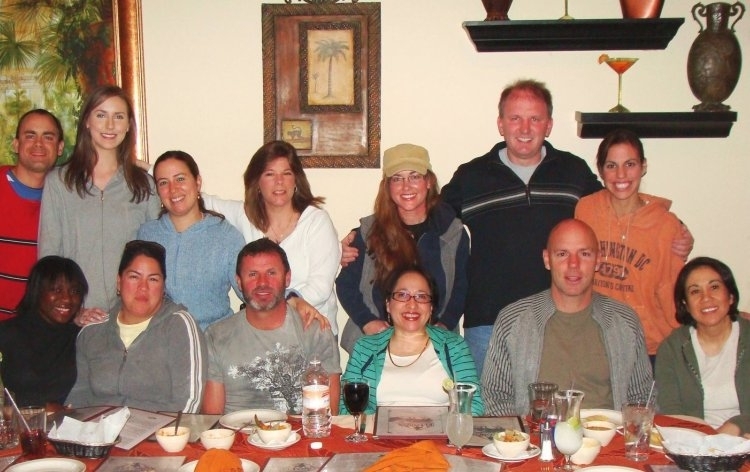 We meet together to share the experiences we are having regularly during and after our trip. Our missions are true spiritual retreats. The teaching component of our mission is drawn from the writings of Mother Teresa on charity and Pope John Paul II on chastity, as there is an integral connection between the two. Charity and chastity are two interrelated virtues which make it possible for us to truly give ourselves to others. Our trips are short, very economical, and scheduled around holidays making it possible for more people to attend. Many people attend again and again, and this seems to be the most unique and life-changing element of our mission. Anyone is welcome to fill out an application to attend. Some trips are tailored to particular demographics. For example, we may host a mission for: singles, married couples, adults with teens, etc. If this is the case, the demographics will be listed on the “Upcoming Trips” page of this site. In addition, if a group would like to have a mission trip with only their participants, we can arrange a private mission accordingly. You don’t have to be Catholic to attend, but you must be comfortable with the Catholic spirituality of our prayer devotions. All of the trips involve doing some fundraising. Fundraising minimum for new missionaries is $700. Returning missionaries are able to attend for only $400. We request that you do not pay more than half of this amount yourself. Please see our “fundraising help,” for an explanation and more information. We provide resources, including online giving, and fundraising letters to share with your friends and family, which are a great help with the fundraising. Also, you are responsible for your transportation to and from the meeting point or gateway city. Yes. Those under 18 must be attended by a guardian approved by SGK – at least one guardian per 7 minors. Waivers for minors are available on our “resources” page. The great preponderance of violence in Mexico is directed at those involved in the drug trade or in policing it. The border towns of Juarez and Tijuana are also particularly bad. The place we cross, Nogales, has had serious drug violence, though nothing like Juarez and Tijuana. Members of our group have made over forty border crossings, and other groups have made many more crossings in Nogales, totaling in the hundreds, in the last couple of years since the upsurge in drug violence. There has never been a problem and we all feel very comfortable with the risk. Casa de Elizabeth is on the outskirts of the small town of Imuris, where we feel quite safe. We stay together as a group and we feel that the risk is minimal. But there is no denying that the risk is real. In the end, it is for you and God and your family to determine if this is the right risk for you. We do make direct donations to the orphanages we serve. However, the mission trips have a unique value as well. By being present on a regular basis we build trust and come to understand more about what the needs are and, just as importantly, why there are such needs, and what can be done over the long term to meliorate some of the more chronic challenges. One example is that one of our missionaries recently recruited two optometrists to come to Casa de Elizabeth and test the eyes of all of the children at no charge. Thanks to this missionary’s passion and commitment, we were able to provide prescription glasses for twenty children (who also got to choose their own frames) for $240. If this missionary had simply sent money, and never attended the orphanage, he would never have been inspired to do this. Also, there is a limit to what one person can give financially. But, if that same person falls in love with the kids, and comes to understand the needs of the kids, that person can raise funds from many other people over many years, even a lifetime, and contribute in many other ways as well. Another factor is that if all we do is send money, then that money gets used for whatever need is most critical at the moment. At an orphanage, they are used to making do with what they have, and that is not always the best use of resources. Often, it is better to determine what is needed on a short, mid and long-term basis, and how to come up with the money to get it. This requires being there regularly, and developing close relationships with the kids, the staff, the other mission groups, as well as the local contractors, vendors, and community. Our mission includes contractors and tradesmen who are experienced at performing needs analysis, procuring necessary supplies, and executing jobs for the best and most lasting results. In the end, there is no replacement for being there. Most importantly, when we spend time with the children at the orphanages, we share God’s love with them in a real way. Our time, our love, and our presence with them in person is very important in the lives of the orphan children. “Gained in Translation” — Wonderful article about our very first trip from missionary Dr. Maria Giura. Facebook page for Serving God’s Kids. Map of Imuris, MX, site of Casa de Elizabeth and Kid’s Kingdom.